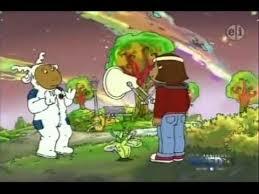 Asperger Syndrome explained perfectly on "Arthur"
In a little over 2 minutes, this episode of the childrens animated program, Arthur, explains Aspergers Syndrome in a way that even judgmental adults can understand! Great way to have your visiting relatives and holiday guests understand your Asperger child’s actions and reactions during a lengthy stay. NOTE: Arthur is one of the longest running childrens animated programs on TV. Based on the book series by Mac Brown, Arthur airs on PBS.